For me the blend of a perfect vacation involves a plush bed, mesmerizing scenery, a sprinkle of adventure and of course a good glass of vino. Why can’t a summer getaway revolve around those explosive cravings for flavor? Summer is the perfect time to explore the sweeping vineyards in your backyard – and no I am not talking about Napa Valley. Did you know that there are more wine cellars in the United States than there are people in Iceland? When pursuing a wine country vacation, you don’t need to travel across the ocean blue. You also don’t need to fight the crowds of 3.5 million other travelers venturing the estates of Napa Valley. Let’s explore the lesser-known wine country vacation spots that you can book next weekend! Located along the Western part of Canada is an exquisite group of wineries in a region known as Naramata Bench. One of the best things about this region is that each boutique vineyard overlooks the glistening Lake Okanagan. Lake views, small town charm and welcoming locals make this destination a top choice for wine enthusiasts. There are many of wineries to satisfy your itinerary, each offering an exceptional experience. Elephant Island and Bench 1775 were two of my favorites. If you need a pause from studying these delicious wine aromas, a summer vacation in Canada isn’t complete without some gorgeous hiking. Luckily, the Kettle Valley hiking trail runs the entire length of Naramata Bench. Many entry points to this trail are speckled within various winery estates. You can also coordinate your visit around local events. This quaint town offers anything from local farmer’s markets to an annual Elvis festival. Don’t let a passport and quick visit across the border stop you from experiencing this wine country vacation spot. These views are more than worthy! Rising 900 feet above the Columbia River sits the breathtaking cliff-sides of Columbia Valley. Washington, is surprisingly, the second-largest wine producing state across America. This wine country vacation will offer a broad range of varietals including Cabernet Sauvignon, Chardonnay, Riesling, Syrah and Merlot. My favorite parts of this region are family owned vineyards. They not only give off a classic, home-like charm, but also provide a genuine and refreshing experience. Spend a weekend away from the flurry of Seattle and settle into a luxury desert lodge at Cave B Winery. This wineries ability to mystically marry wines with food is a symphony for your palate. As you venture to other vineyards make sure you call prior to arrival. Many wineries require scheduled appointments. If you live along the coast, a simple desert vacation can be the perfect break from reality. Enter Arizona. This wine country vacation spot, only two hours from Phoenix, is called Verde Valley. This wine scene is hidden within stunning red mountains, and desolate views of cacti and buttes. The impressive backdrop of Sedona makes for the perfect home base to explore this lesser-known region. For my fellow winery-hoppers, this undiscovered area has a more manageable number of wineries and tasting rooms to explore. The unique desert landscape and its radiant heat helps the fruit to develop some very unique flavor profiles. Another perk to this vineyard oasis is the rich wild west history. It is nestled in between the old town communities of Cottonwood, Jerome, Clark Dale and Camp Verde. Outside of wine tastings, you can immerse yourself in the surrounding scenery with a Verde Canyon Railroad ride. 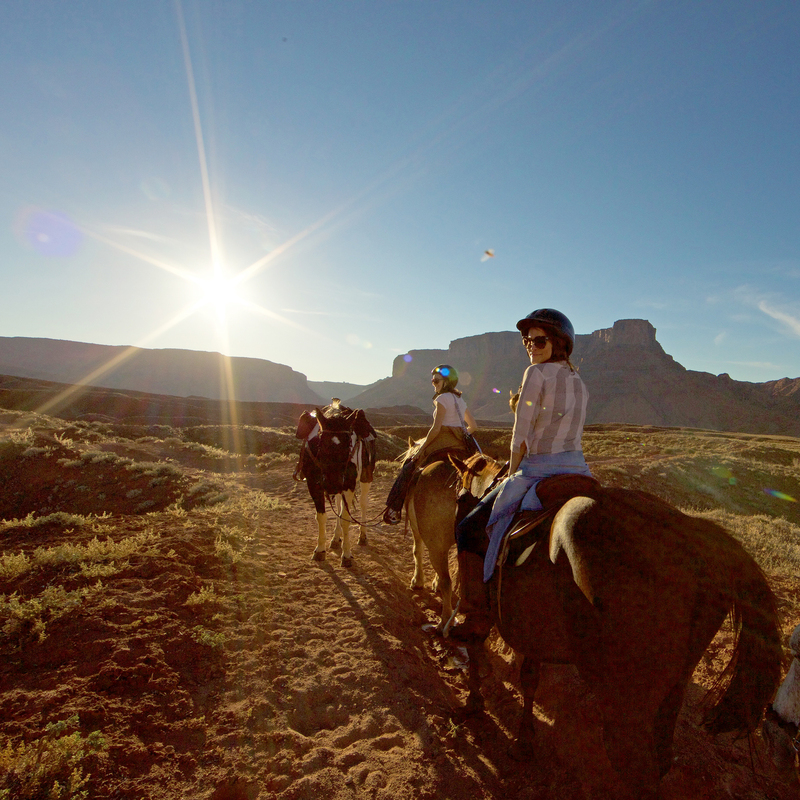 Hidden ancient ruins, hiking and authentic western dinner shows just scratch the surface on some activities the whole family can enjoy. Check out some more west coast weekend getaways for a quick summer jaunt. Umpqua Valley is home to Oregon’s very first winery and first Pinot Noir. This wine region is less popular than the nearby Willamette Valley, making it less crowded, and therefore more desirable in my book. HillCrest Vineyard is a must-see estate where the family history is just as delightful as the vines. 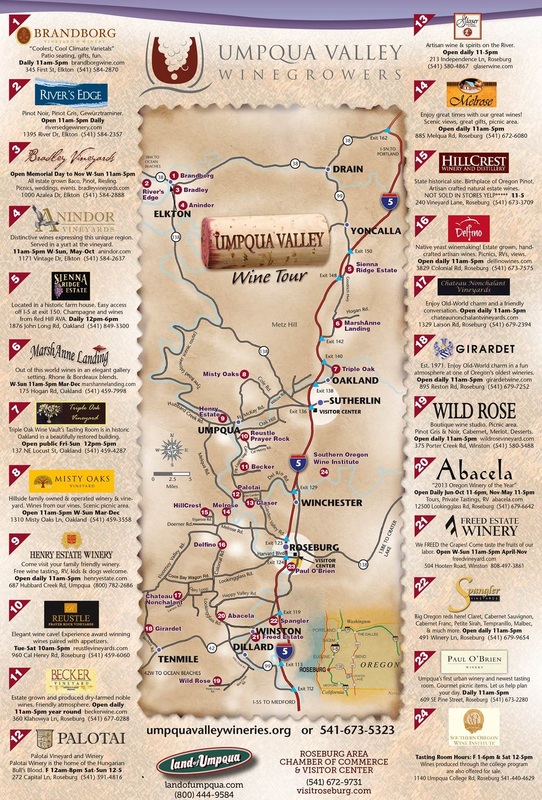 To assist you on your Umpqua Valley wine hopping quest here is a friendly map. Wine tasters can opt in for a private chauffeur to cruise along the rolling hillsides. Additionally, adventurers can head to crater lake or hike to cascading waterfalls. Oregon is the perfect spot for a wine country vacation. California produces over 90 percent of all wine crafted in the United States. However, I would encourage you to discover the lesser known wine regions. Sip and swirl your varietals in Santa Yanez Valley. It is located just 35 miles from the beaches of Santa Barbara. I recommend staying at Ysidro Ranch, a luxurious hilly estate with blooming gardens and ocean views. Over one hundred boutique family-owned vineyards give this destination a charming history. You will want to uncover each vineyard’s family traditions while sipping on delicious vino. Design your own itinerary and be sure to incorporate some of the regions outdoor adventures. Soar in the sky during sunrise on a hot air balloon or spend a day shopping at the local boutiques. This wine country vacation destination is the perfect intimate and secluded getaway in California. With summer well underway, don’t miss the opportunity to take a wine country vacation. Between the incredible scenery and delicious offerings, it is the perfect romantic weekend away. It also makes for an incredible gals getaway! Have you explored any unique destinations where delicious wine is abundant? If so, let me know in the comments below. Looking to travel a little further for an exotic wine country vacation spot? Check out the incredible South African Wine Country.